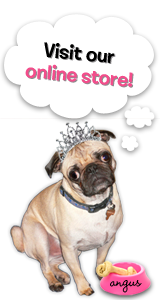 The Rubber Cafe Design Team Blog: You're Soooooooo FINE! Today's Rubber Cafe creation is full of You're So Fine Glitters....six of them to be exact! They are beautifully brilliant and oh, sooooooo FINE! I covered a piece of the Faber-Castell packaging from our hop last week with some Scor-Tape. 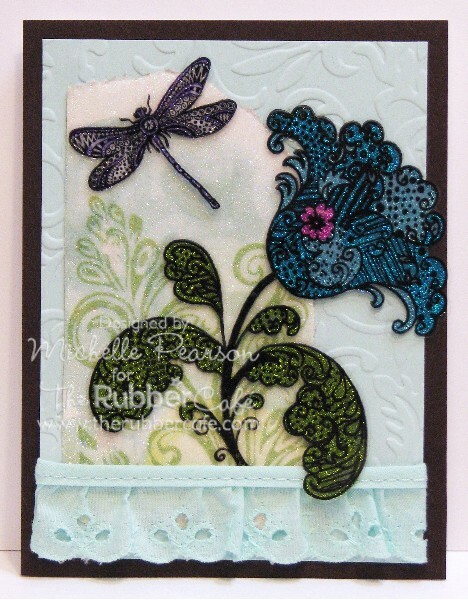 I burnished it with some Diamond Clear Cool Highlight glitter for a fun card element. You bet you'll see more of this packaging....way too cool for my recycling man!! 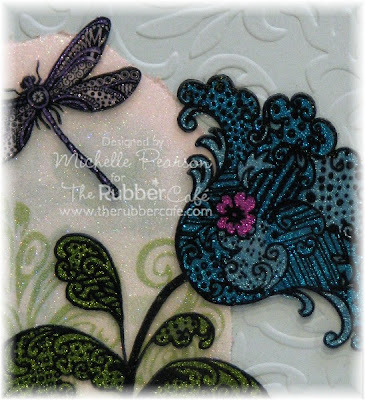 I stamped the Lace Flower and Small Paisley Dragonfly images with Stazon ink onto acetate. The neat thing about that is that you can flip your images so they are oriented any way you wish. Apply your glue and glitter to the backside of your image and let dry. Once dry you can cut out the images leaving a narrow acetate border....easy peasy! I attached my images to my card with Glue Dots which will not show after your glitter has dried. Loving the glitter and fun image. Fun use of the Glitter! pretty pretty card. This is sooooo very beautiful Michelle! I love those glittery colors and fab design! You sure are our glitter Queen!